Heirloom is the latest in a series of new treatment options released by Conestoga. The rough and rustic appearance of the Heirloom Treatment is achieved through a combination of several elements: composed of one layer of Color tone or Prism Paint, a glaze application, and the Vintage Distressing package. The overall appearance leaves the component with a signature weathered look. · Expanded specie offering with Prism Paints – Available on Alder, Cherry, Hard Maple, Paint Grade Hard Maple, and Red Oak. 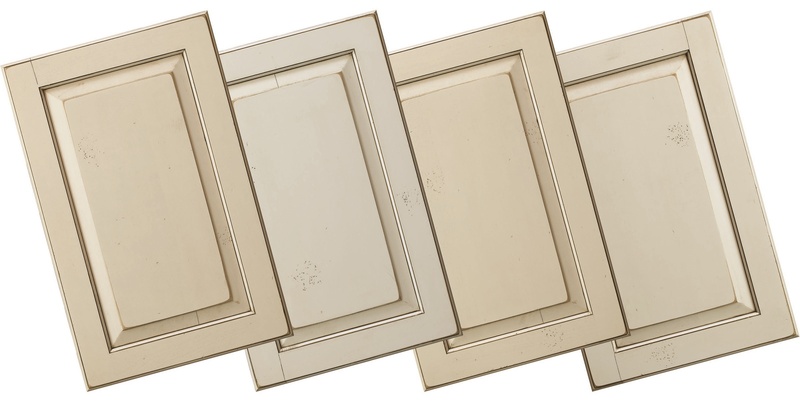 · Additional Color tones – Antique White, Designer White and Frosty White Color tones have been added to the offering, making a total of 14 color tones finish colors available with Coffee or Pewter glaze. · Heirloom with weathered grain – One of Conestoga’s most requested new options has been Weathered Grain, and these two options packages are now available together.